Today we learn of yet another school shooting. This morning we woke to the news that ten people (eight students, one teacher’s aid, and a teacher) were killed and ten others injured, including a school resource officer at Santa Fe High School in Santa Fe, Texas. Santa Fe High School is less than 20 miles from where I live. Local and national news reporters are busy giving a play-by-play as the events unfold. I feel as if we are all trapped in a perpetual state of Déjà vu or we are all playing the role of Bill Murray reliving an unending Groundhog Day. Seeing the devastated looks of students, parents, teachers, and staff affected by this and so many other shootings is heartbreaking to witness and all too familiar. Still we continue to send “thoughts and prayers” rather than taking legislative action to improve gun laws in the United States. In addition, the general public perpetuates crime myths to justify gun ownership, including the need for assault rifles cloaked in the American flag and bolstered by a gross misrepresentation or misconception about the intent of the Second Amendment. After all, this is America and we believe in “God, guns, guts, and glory,” and not necessarily in that particular order. (Cue the Star-spangled Banner). Nearly 70% of those living in the U.S. believe gun laws should be stricter. However, the belief of 70% of Americans is trumped by legislators who received financial support from gun lobbyists, including the National Rifle Association (NRA), and this support involves representatives across the political spectrum. In addition, this data suggests that about 1/3rd the country is holding 2/3rds of the country hostage with their extreme views on gun ownership and our response to gun violence. Strategically speaking, March for Our Lives got it right—the students decided not to take on gun lobbyists or NRA directly, but opted to call out legislators who are supported by the gun lobby. March for Our Lives also presents a concise five-point plan to implement reasonable gun policy changes. Specifically, March for Our Lives advocates the following changes: 1) funding gun violence research, prevention, and intervention programs, lifting restrictions on the Alcohol Tobacco and Firearms allowing them to regulate the gun industry, universal background checks, elimination of high capacity magazines, and limiting the ownership of assault weapons (learn more about March for Our Lives here). Time will tell whether this strategy will place enough pressure on legislators to address gun violence in any tangible way. For me, I have had #Enough! As a criminologist, I believe a substantial portion of individuals are unaware of the misconceptions they have about gun violence in the United States. I have had numerous conversations with people who voice opinions that are not grounded in empirical (scientific) facts. Yes people—we need to bring back FACTS to the discussion. Below I discuss ten myths about school shootings and gun violence in the U.S. I also discussion the empirical evidence to discredit misinformation about our responses to school shootings. A “good guy/gal” with a gun will be able to stop a school shooting. There is NO empirical evidence that arming teachers and police officers in schools would prevent school shootings. Police officers receive extensive training with firearms, but even police officers sometimes fail to stop school shootings (see Stoneman Douglas High School Parkland, FL). One training session for a concealed carry permit would not be sufficient for someone to be proficient with a firearm. As a matter of fact, conceal carry training meets the minimal threshold for “qualifying” someone to conceal care, training and licensure does not require firearm proficiency. Police will be able to recognize a “good guy/gal” with a gun. When police officers arrive on an active shooter scene, they are trained to look for anyone with a weapon. A person in possession of a firearm represents a threat to officers and others on the scene. Officers have to make spilt-second decisions about those who poses a potential threat, which means police will most likely not be able to tell the difference between the “good guys” and the “bad guys.” A failure to immediately comply with an officer’s verbal command to “drop the weapon” means good guys with guns with inadvertently be shot and killed by police. Teachers will be able to remain calm and confront a shooter. Research with Firearm Training Simulators (FATS) show that emotional arousal (increased anxiety) is heightened during shoot/don’t shoot training exercises (Hulse & Memon, 2006; Ross, 2013). Increased emotion arousal is an innate response to a stressful situation, particularly one that is life-threatening. The inability to remain calm will impact the person’s ability to confront a person who is a threat. In an actual shooting situation, one’s “flight or fight” response make take over, and some may choose not to confront a shooter because of safety concerns for themselves or others. Teachers will be able to shoot with 100% degree of accuracy. FATS research shows us that shooting accuracy for law enforcement officers is significantly lower during high anxiety shoot scenarios (Nieuwenhuys & Oudejans, 2010). High anxiety is defined as threatening opponent who occasionally shoots back at officers during training. Results show high anxiety situations cause police officers to blink more often, which means their eyes are closed more often during high pressure situations. Obviously, having one’s eyes closed during a shooting decreases firearms accuracy. Additional research shows police are “faster to make correct responses; better able to detect the presence of a weapon; and set a significantly higher criterion for the decision to shoot, indicating [police have] a less “trigger-happy” orientation than citizens (Correll et al., 2007, p. 15). Shooting inside of a building poses a significant threat to anyone in the vicinity. Bullets may ricochet off stationary objects and injure or kill an unintended target. In addition, depending on the caliber, bullets can travel through the bodies multiple people, which means innocent bystanders could be inadvertently injured or killed. Bullets also travel through walls and may strike unintended individuals. In other words, there is a substantial risk of additional unnecessary loss of life if teachers carry guns on school campuses. Individuals will be able to avoid racial bias when making decisions to shoot. Empirical evidence also demonstrates racial bias in police and citizen decisions to shoot (Correll et al., 2007; Ma & Correll, 2011). Research conducted by Correll et al. (2007) indicates that citizens are more likely to shoot Black targets than White targets, even if Black targets are unarmed. Their study also shows police officers are biased in their decisions to shoot, particularly when culturally prevalent stereotypes (or prototypicality) were present in the shoot/don’t short scenarios (see also Ma & Correll, 2011). So, the question is—if an armed Black teacher confronts a shooter, will a White teacher mistake him or her as the shooter? If so, research suggests cultural stereotypes will increase the likelihood of shooting a teacher of Color. Teachers will only use their firearms to confront school shooters. We know race and ethnicity impact teachers’ and school administrators’ decisions to punish students. The school-to-prison pipeline is a well-documented phenomenon in schools across the United States (see Crenshaw et al., 2015; Dodson, 2012; Hirschfield, 2008). Students of Color are more likely to be suspended and expelled than White students for similar types of rule violations. Estimates show that Black students are three times as likely to be expelled from school than White students for similar types of rule violations or misconduct (The Marshall Project, 2015). Racial bias leads some White teachers to perceive Black student misconduct as more threatening than White student misconduct (Hyland, 2005). Taken together, this research suggests teachers may be more likely to shoot students of Color because of a misconceived threat based primarily on racial bias. Research also shows that Whites view Black children as older and less innocent than White children. Goff et al. (2014) found Whites viewed Black and White children as innocent up to age nine. After children reached the age 10, Whites respondents misread the age of Black children on average by 4.5 years (perceiving them to be much older). This misconception led respondents to conclude that Black children are more culpable for delinquent behavior than White children. Again, this research demonstrates racial bias in the application of punishment for rule violations or delinquency. Spoiler Alert: School shootings are almost exclusively perpetrated by White males. Students and teachers will be safer if teachers are armed. There are numerous safety issues related to arming teachers. We have news reports of teachers inadvertently leaving firearms unattended (see e.g., Stoneman Douglas and Cumberland Christian School), committing violence on schools campuses (see Dalton High School, GA), inadvertently discharging a firearm in class and injuring a student (see Seaside High School), school resource officers accidentally discharging a firearm in school (see George Washington Middle School and North Broward Preparatory School), and a trained Federal Bureau of Investigations agent (see Technology Center of DuPage). Most teachers and citizens want to be trained to carry a firearm on school campuses. According to the most recent Gallup Poll, 73% of respondents oppose arming teachers and staff and 58% of teachers also reported guns in schools would make them less safe. Teachers also support the implementation of stricter gun laws, assault weapon bans, and expanded background checks. All school shooters have a history of mental illness or a mental health diagnosis. Mass shootings by individuals diagnosed with serious mental illness represent less than 1% of all yearly gun-related homicides. Three percent of violent crime is committed by individuals with serious mental illness. A further breakdown of this violent crime statistic shows that firearm-related violence in an extremely small portion of violent crimes by individuals with serious mental illness. Laws proposed to reduce gun violence that focus on a population representing less than 3% of all gun violence will be ineffective and a financial waste of scarce resources. Individuals who commit mass shootings typically do not have a history of involuntary psychiatric hospitalization. Therefore, databases intended to restrict access to guns that largely target those with mental illness will not capture this group of individuals (see Knoll & Annas, 2016). The shell game—Blacks do not care about gun violence in their communities. Individual X: What about “black-on-black crime”? I don’t see Black people trying to address gun violence in their communities. (And throw in a cursory reference to gun violence Chicago for good measure to appear somewhat knowledgeable about gun violence in the U.S.). First, the argument is founded on a racist premise—”black-on-black” crime is a media invention. Most crimes, violent and non-violent, tend to be intraracial (crimes are committed within race or by members of the same race). This means Blacks are more likely to be victimized by Blacks and Whites are more likely to be victimized by Whites. The Uniform Crime Reports show 90% of Black homicide victims are killed by Blacks and 82% of White homicide victims are killed by Whites. And when have you heard anyone discuss the white-on-white crime problem? Exactly, they don’t because they want us to believe that crime in the U.S. is only a “Black problem,” which has been an argument used by politicians for decades. Black communities have responded and continue to respond to gun violence in their communities. Since people like to cite Chicago as a prime example of Black people not responding to gun violence, let’s discuss the response to gun violence by the Black community in Chicago. Ceasefire was an organization established in 2000 by. Dr. Gary Slutkin from the University of Illinois-Chicago and it was embraced by the Black community, many of whom volunteered to be violence interrupters. In 2015, Illinois Governor Bruce Rauner defunded Ceasefire even though crime data show a decline in gun violence and homicide. That same year, Illinois legislators and the governor were deadlocked in a budget impasse and several universities across the state were in danger of closing, including the only historically Black college/university (HBCU) in the community, Chicago State University. How is defunding a gun violence program that is working and eliminating educational opportunities for Black people living in Chicago going to help reduce gun violence? Hint—it’s not! On a positive note, Cure Violence replaced Ceasefire and preliminary evidence demonstrates a dramatic drop in gun violence and homicide in Chicago. We have the power to address gun violence. We need to vote out legislators who refuse to listen to their constituents and are funded by the gun lobby. We need to demand change by becoming activists in our communities. We need to run for political office and reject the status quo perpetuated by our representative. Clearly, our legislators and representatives have forgotten “we the people.” It’s past time for Americans to WAKE UP! Correll, J., Park, B., Judd, C. M., Wittenbrink, B. Sadler, M. S., & Keesee, T. (2007). Across the thin blue line: Police officers and racial bias in the decision to shoot. Journal of Personality and Social Psychology, 92(6), 1006-1023. Crenshaw, K. W., Ocen, O., & Nanda, J. (2015). Black girls matter: Pushed out, overpoliced and underprotected. New York, NY: African American Policy Forum. Dodson, K. D. (2012). 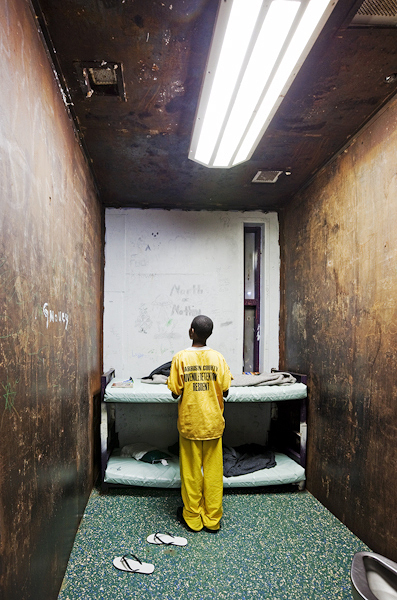 Book review: The school-to-prison pipeline: Structuring legal reform. Race and Justice, 2(1), 66-68. Goff, P. A., Jackson, M. C., Di Leone, B. A. L., Culotta. C. M., & DiTomasso, N. A. (2014). The essence of innocence: Consequences of dehumanizing black children. Journal of Personality and Social Psychology, 106(4), 526-545. Hirschfield, P. J. (2008). Preparing for prison? The criminalization of school discipline in the USA. Theoretical Criminology, 12(79), 79–101. Hulse, L. M., & Memon, A. (2006). Fatal impact? The effects of emotional arousal and weapon presence on police officers’ memories for a simulated crime. Legal and Criminological Psychology, 11(2), 313-325. Hyland, N. E. (2005). Being a good teacher of black students? White teachers and unintentional racism. Curriculum Inquiry, 35(4), 429-459. Nieuwenhuys, A., & Oudejans, R. R. D. (2010). Effects of anxiety on handgun shooting behavior of police officers: A pilot study. Anxiety, Stress, & Coping, 23(2), 225-233. Ma, D. S., & Correll, J. (2011). Target prototypicality moderates racial bias in the decision to shoot. Journal of Experimental Social Psychology, 47, 391-396. Ross, D. (2013). Assessing lethal force liability decisions and human factors research, Law Enforcement Executive Forum, 13(2), 85-107. Dr. Jerrod Brown, treatment director for Pathways Counseling Center Inc. recently published an article in Counseling Today on Fetal Alcohol Spectrum Disorders (FASD), which is designed “to provide a basic introduction of FASD to mental health professionals in six key areas: FASD symptoms, diagnostic comorbidity, memory impairments, tips for interacting with individuals who may have FASD, screening and assessment, and treatment.” Although this article is marketed to mental health professionals, it is important for criminal justice practitioners and treatment professionals who work with offenders to understand the dynamics of FASD. Please click on the link below to read the article. The recent tragedies in Ferguson, Missouri; New York City; Cleveland, Ohio; Dayton, Ohio; Denver, Colorado; and Los Angeles, California are a clear indication that police officers need to improve their interaction with members of the community, especially communities of color. These tragedies have illustrated how the use of force can quickly go wrong during police-citizen encounters. This roundtable will focus on strategies and training programs that police departments can adopt to handle difficult encounters and reduce the chances of force or violence being used unnecessarily. Recent encounters between police and minority communities demonstrate that there is very little trust between the police and the communities they serve, especially in minority communities. This roundtable will discuss the reforms that are necessary to improve the relationship between the police and minority communities. The citizen confidence and satisfaction in the police is influenced most by the quality of the citizen’s recent contacts with the police. Most often the demeanor of the police determines whether or not the encounter is perceived as negative or positive. Also due to the proliferation of technology, poor demeanor on the part of individual officers is instantly visible to the public. This roundtable will examine the ways in which law police departments can address discourteous officer demeanor and build trust among citizens. There is a longstanding fear among black men that almost any encounter with police can be potentially deadly, while at the same time, there is a belief that police officers are fearful of Black males because of the high rate of violence and homicide in some of their neighborhoods. Because of this black implicit bias based on stereotypes, police may view Blacks as threats. There has been little research on fear as it relates to the relationship between the police and citizens. This roundtable will explore these arguments of fear among both Blacks and police during their encounters. In the wake of several well-publicized cases of deadly force encounters between police and minority citizens and the apparent lack of accountability, greater attention has been placed on the need for transparency during police-citizen encounters. This roundtable will explore the contours of the body-camera debate and other strategies, such as developing a national database of transparent information, fostering greater community engagement designed to increase transparency, reveal instances of police misconduct, reform police (and civilian) behavior, and building trust between the police and the community, and decreasing the use of deadly force by the police. The Black Lives Matter Movement was initiated as rallying cry of a national protest against the deaths of unarmed black people at the hands of police. The Blue Lives Matter movement was created to honor and recognize the actions of law enforcement to strengthen the public support. Black Lives Matter and Blue Lives Matter not mutually exclusive because it is possible to be against police brutality and still care about the lives of innocent police officers. This roundtable will address the ‘Us versus Them’ Mentality. The discourse within the Black Lives Matter tends to focus primarily on police violence against black men. However, black women, black homosexuals, black transgender people, and poor Blacks who experience police violence are often ignored in the national conversation on race and police abuse. Discussion on police abuse should be more inclusive and attentive to the intersectionality of racism, sexism, classism, homophobia, and transphobia which are elements of police violence against certain segments of the Black community. This roundtable will discuss the importance of analyzing police violence against Blacks within a broader context of all black lives matter. Protests sparked by police killings of unarmed Black men and women have met with considerable condemnation, and in some cases, outright hostility from law enforcement agencies across the United States. Police agencies claim that it is the violence that they are opposed to that has happened during racial justice protests. However, even peaceful protest such as San Francisco 49ers, Colin Kaepernick’s refusal to stand during the national anthem has ignited outrage in White communities and among police agencies. This roundtable will examine ways to address police and community hostility toward racial justice protests with the goal of finding common ground to rebuild relationships. If you are interested in attending the conference, please go the ACJS Annual Meeting page. You can also visit the ACJS Minorities and Women or ACJS Police Section Facebook pages to learn more about the sections. ‘Crime’ and ‘Punishment’ A close look at the language of past State of the Union speeches.